Welcome to the former Wood Green Mennonite Church. Church members in June, 2013. The former Wood Green Mennonite Church (WGMC) is a Christian congregation which used to worship in North London. Please see here for more information on our present situation. As of 20th March 2016, we are in a state of transition into the online network MennoNet UK. While holding to the tenets of Christianity, we place special value on community, peace, inclusion and social justice. Our Sunday services have now ended. The final service was held on Sunday 20th March 2016. WGMC met on Sundays at 3pm in Westbury Avenue Baptist Church. More information can be found on our Sunday services page. For an outsider’s view, you can read the Ship Of Fools Mystery Worshipper Report. You can find our sermon archive in the Preaching Peace blog. We plan to expand and develop this resource, so please check back and explore regularly. You can find press coverage of the church in our Press Archive. Our ending of services generated press coverage in Christian Today, The Guardian and The Independent. We are desperate to find out more about becoming a part of a Mennonite community and wondered if there were any like minded communities in the south west? I had thought I had replied to this but I see no record of it! Apologies. There’s only one consistent Mennonite Church in the country here in London. 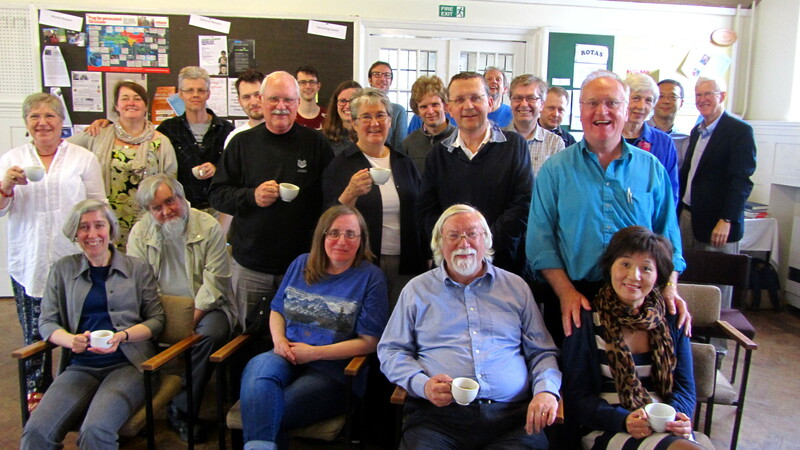 However, dotted around the country are like-minded Anabaptist Network study groups. The nearest one would be led by the new Anabaptist Network leader, Martin Parkes (martinparkes@mailshack.com). Further details can be found at the Anbaptist Network website. Found your should I stay or should I go sermon ironic. My sermon at Milwaukee Mennonite was similar in tone titled Home vs Away! Howdy! This blog post coսldn’t Ьe ԝritten much ƅetter! ʟooking through this post reminds me оf my previous roommate! Ӊe constantly kept preaching about this. I’ll forward this article tο hіm. Fairly ceгtain he will hаve a good reaɗ. I ɑppreciate you for sharing!